David Lee Ford, Sr. passed away April 12, 2019 at the age of 66. He was born June 17, 1952 to the late Jimmie Dillard Ford and Ruby Lee Eiland. 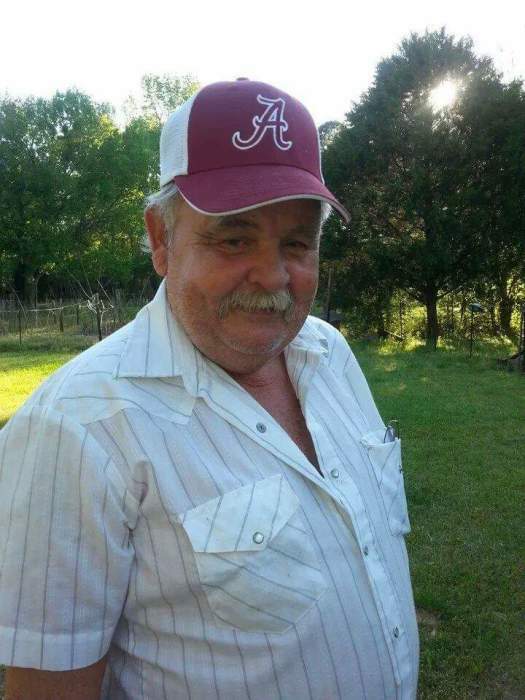 He was preceded in death by his daughter, Kathy Ford; son, David Lee Ford, Jr.; granddaughter, Brooklyn Hornbrook; son-in-law, Steve Buxton; brother, Sidney Ford and sisters-in-law, Hollis Ford and Ruby Ford. David loved to fish, hunt and gamble. He was a successful roofer for 40 years and enjoyed spending time with his children, grandchildren and family. He was a jokester; always making you laugh. Everyone always knew about Barney Sueull and Billy Wayne, his tutu and little red dancing shoes. He is survived by his wife of 23 years, Youlanda Ford; children, Jennifer (Steve) Hornbrook, Erin Lagner, Kimberly Ford, Mike (Sharon) Ross, Sissy Smith, Nancy Buxton, Ray Quigley and Chris (Whitney) Ross, April (Jason) Carter; 23 grandchildren; 33 great-grandchildren; siblings, Myrtle (Bill) Crawley, Junior (Linda) Ford, Earl (Jackie) Ford, Jeannie Ford, Richard (Lisa) Ford, Donnie Ford, Randy Ford, Billy (Shannon) Ford, Martha (Nick) Halkias; Hazel (Rick) West, George Ford and Sandra (Less) Fara. Funeral services will be Tuesday, April 16, 2019 at 11:00 a.m. in the chapel of Lawrence Brown-Service Funeral Home with Pastor Jimbo Small officiating. Interment will follow in New Live Oak Cemetery. Visitation will be Monday evening from 5:00-7:00 p.m. at the funeral home. Pallbearers will be Timothy Ford, Jason Melton, Drew Ross, Eugene Ford, Jr., Luke Greenly, Nathaniel Goodman, Billy Ford, Thomas West, Perry Converse and Scott Jarvis.